In Bangladesh the Khumi people live in many different places of Bandarban district. They are found from Rowangchari sub-district in the north to Remakri of Thanchi subdistrict in the south. Their main profession is jhum farming (slash-and-burn shifting cultivation). They produce cotton, ginger, pumpkin, chilies, turmeric, tobacco, and many other vegetables. The Khumi people like to live deep in the jungle. They build their houses on the tops of hills, and their houses are made of wood, bamboo, straw and tin. Most are illiterate. Christians are the majority, but many believers are not able to read God's Word and through that strengthen their faith. A few try to use the Khumi Bible which was translated in Myanmar using Roman script. Among the believers perhaps not a single person has had Bible training, and their understanding of Christian faith may be weak. 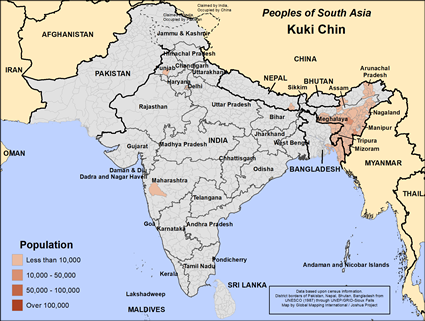 Thus, to spread the kingdom of God in the Khumi community, missionaries are needed. 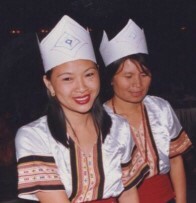 The Khumi speak their language in their community. Their second language is Marma. Many of them also can speak some local Chittagonian. Their neighboring communities are Mru and Marma. View Kuki Chin in all countries.